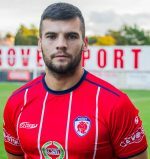 BROMSGROVE SPORTING boss Brendan Kelly said the Rouslers would need a miracle in order to overcome the seven point deficit on leaders Peterborough Sports, after dropping points in Saturday’s 2-2 draw with Barton Rovers. Goals from Josh Quaynor and Richard Gregory either side of the break put Sporting into a solid 2-0 lead, but a collapse in the space of a minute erased all of Bromsgrove’s good work up to that point. It meant they had to settle for a point, despite their best efforts to regain the lead, with Peterborough’s win over Sutton Coldfield Town opening up a comfortable lead at the top with just four games remaining. 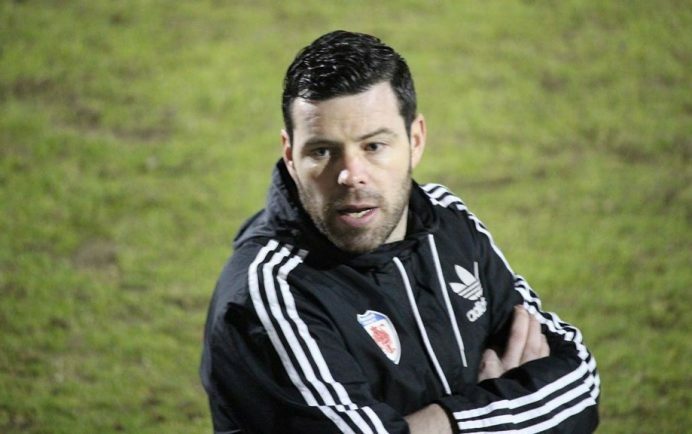 Kelly believes the title is too far out of Bromsgrove’s reach, but accepts the Rouslers can’t be too harsh on themselves after a season which has exceeded all expectations. “I’d be hoping for a miracle now – they have one hand on the title it’s fair to say,” he said. “It’s fair to say that the players have been a victim of their own success, we never thought we’d be in this position. “But we must finish the job now and see out this fantastic season. The Sporting manager revealed that the players shared in the disappointment of not winning the game after full-time on Saturday, but looks ahead to an improvement against Cambridge City this weekend. “It’ll be a very easy team talk on Saturday, we know we must put right the wrongs of our unacceptable performance. Kelly praised opposition manager Robbie Nightingale, and warned his side to be at their best at the Victoria Ground on Saturday (3pm). “Their manager has them playing some good stuff, so it’ll be a really tough challenge. “It was a really even game last time out, they’re a really astute team.